이상윤,(2017).한국 전자정부와 국가정보화에 관한 탐색적 연구.한국지역정보화학회지,20(1),21-55. 최근의 웹에서 유비쿼터스로의 스마트사회의 급속한 진행에 의한 IT와 컴퓨팅기술에 있어서의 새로운 패러다임 도래는 한국 정부 및 각국 정부에 있어, 전자정부 및 국가정보화 추진에 있어서의 주목할 만한 전환점이 되고 있다. 따라서 본 연구는 미래예측방법으로 많이 활용되고 있는 시나리오플래닝 방법론을 적용하여 한국 전자정부 및 국가정보화의 바람직한 미래상을 고찰하였다. 본 논문에서는 다가오는 유비쿼터스 스마트 시대에 합당한 한국 전자정부 및 국가정보화의 세계 최고수준 유지 방안을 찾고자, 이에 적합한 거버넌스 유형을 모색하였다. 그 결과 초연결네트워킹이 실현되어 탈중심의 쌍방향이 강조되고, 다양한 정책행위자들의 책임을 공유하게 되는 빅데이터와 클라우드 컴퓨팅의 연계를 통한 초연결 혹은 데이터 거버넌스의 추진이 탐색되었다. 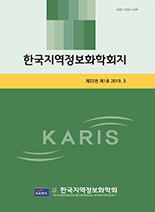 As a smart society of knowledge and information has been developed rapidly, because of changing from web environment to ubiquitous environment, a lot of countries across the world as well as S. Korea for national informatization with electronic government were faced with a variety of changes. So this study address new type of future governance with national informatization and e-government of S. Korea analysed by the application of ‘scenario planning’ as a foresight method. And then this study focused on the strategy consulting of national informatization with e-government as governance policy of S. Korea. As a result, This study suggest that ‘hyper-connection or data governance’ with big data and cloud computing as new type of future governance is suitable. And also when ‘hyper-connection networking’ and ‘decentered interactive government’ achieve at this future governance, a variety of policy actors share the burden of responsibility for ‘e-decision making’.